THE MOST RELAXING HOSTEL IN POZNAŃ! 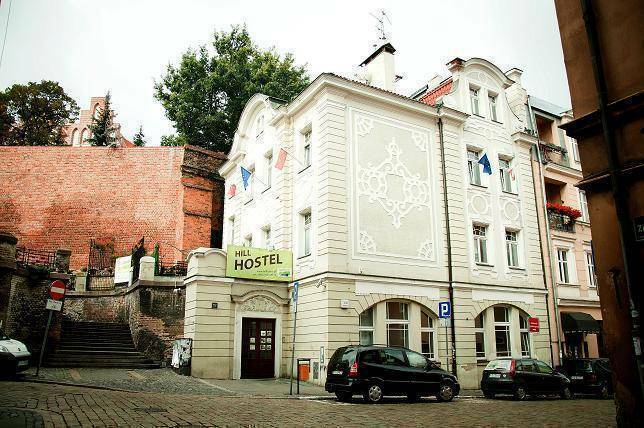 Hill Hostel is situated at Zamkowa Street in the city centre, next to the Old Market where you can experience an amazing atmosphere of an incredible place. There are many cafes, restaurants, pubs, clubs and shops. We are surrounded by the most beautiful tourist attractions: there is, for instance, an old Franciscan Church and a medieval defensive wall. What is more, just next to the hostel there is a little park that provide quiet and peaceful rest. Poznań is generally regarded as one of the most interesting and eventful Polish agglomeration. It’s Poland’s fifth largest city and it is among the oldest cities in the country. 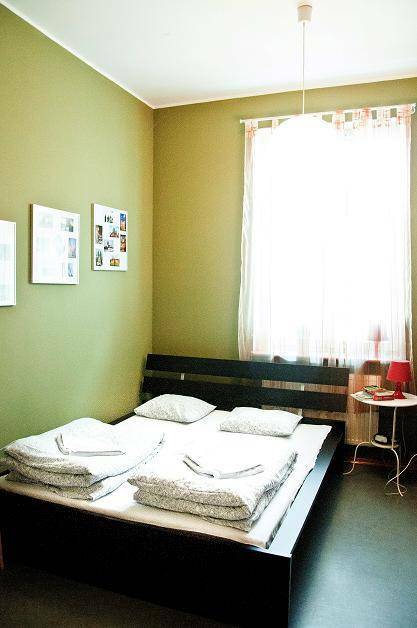 Poznań is exciting enough to fulfill your and your friends’ expectations. For everyone Poznań nights are source of unlimited fun. Today the city stands not only as one of the vibrant in Poland but also a major historical and cultural centre of Europe. Hostel is located in a villa built in 1890. The building formerly housed a registry office. Today, completely renovated mansion is in full at our guests’ disposal. Hill Hostel has its own patio devoted only to the hostel guests. Our place also offers a spacious sitting room with its own kitchen and a dining room. Here you can drink free coffee or tea and eat served breakfast. You can prepare your own meal, relax on the sofa, listen to music, watch television or just chat and have a drink. 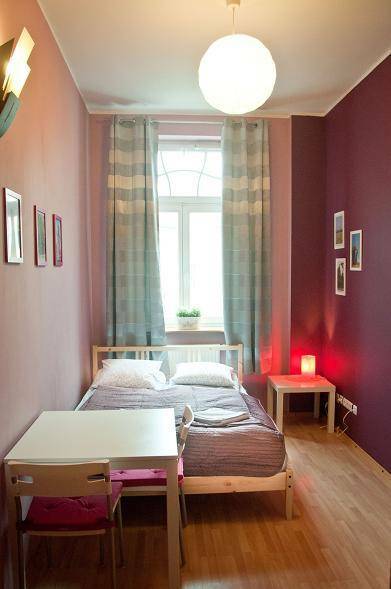 Hill Hostel is situated in the heart-centre of Poznań. It is near the Art and Business Centre called Stary Browar. It is also 20 minutes from the bus and railway station. Many cafes, restaurants, pubs music and shops are close to the hostel – you can get there on foot. There are many interesting tourist attractions nearby. It is very easy to get to the hostel – you Just have to head toward the city Centre and ask for the Old Market. You should Get into tram number 6, 11 or 12 (in front of the bus station) and go out at the next stop (PÓŁWIEJSKA bus stop) where you should wait for tram number 2 (direction OGRODY) Or number 9 (direction PIĄTKOWSKA), then go out at the fourth stop (MARCINKOWSKIEGO bus stop). At present a normal tram/bus ticket for 15 minutes is 2 PLN. In case the bus coming from the airport to the Centre you should buy a ticket for 30 minutes (a 30-minute ticket costs 3 zł). You must buy the ticket before going into the tram or bus. They are available at the automatic machines at some of the bus stops, newagents ‘ and it most of the grocery shops. You cannot buy tickets from the driver. At night or at weekends these values May be high er, even by 50%. You can also call the taxi or ask us to order it. Hill Hostel does not have its own car parking spacer In front of the building. You can ask us to book a space at the nearby car park- you just have to menton it while booking at our hostel. You can driver at the hostel Just to quickly unpack your luggage, but In case you need our help you should inform us about it in advance.